It’s almost Halloween, which means it’s time to start thinking about what presents to get your loved ones for Christmas this year. Here is our ultimate 2018 guide for unique X-mas gifts this holiday season! We all know what it’s like to be excited about our Christmas gifts, only to unwrap them and… Oh, another pair of socks. Ah, more toiletry gift sets. Not that there’s anything wrong with socks or toiletries, but it’s nice to receive something a bit more special. The problem is, we often know what we don’t want, but coming up with something we do want can be much more difficult. The same goes for choosing Christmas presents for our family and friends. We might know what they like, but what would make a nice gift? What shows that we’ve put in thought and effort, and not just gone for the first thing we saw at the store? Do they already have that? Would they actually use this or would it be sitting in a cupboard for years before it’s disposed of? And with the options becoming increasingly endless thanks to the internet, where do I begin? But don’t worry, Brother2Brother is here to help. We’ve compiled a list of great gifts to give your family, friends, and loved ones this Christmas. Read on for some excellent examples of Christmas gifts for men, as well as some great xmas presents for women and teenagers. This super-stylish rucksack is an ideal Christmas present for learners, students, travellers, commuters, and anyone who likes to carry their belongings in style. The backpack features a fine balance of aesthetics and practicality. The top half features the famous Kenzo tiger logo, while the front pocket on the bottom half features a visible written Kenzo Paris logo. With this rucksack, it is easy to organise your belongings, with a main compartment and inside pocket as well as a good-sized front pocket, all of which come with branded zips. The shoulder straps are adjustable, and there is also a black holdall handle. Made of 100% polyester, the bag is easy to wipe clean with a damp cloth. 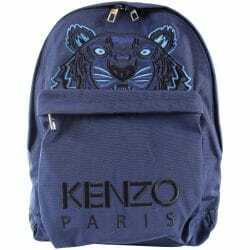 Buy The Kenzo Navy Blue tiger rucksack here for £185. At Brother2Brother, we love it when streetwear meets haute couture, and this hat makes it happen. This new Versace beanie from the latest AW18 collection is sure to keep you warm, as it’s made from 100% high-quality wool. The black knitted beanie features Versace’s recognisable vintage logo embroidered across the front in bright red or black. This urban designer beanie makes a perfect gift for young men and women with great taste. Know any hat heads? That’s one gift sorted! Get the Versace Vintage logo beanie hat with red logo or black logo for £215 each. Do any of your friends or loved ones have the latest iPhone X? Do they need a nice phone case to protect and personalise their mobile device? Then consider getting them one of these unique Marcelo Burlon County of Milan iPhone X cases as a Christmas present this year. The shell cases offer great protection for your phone, as they are manufactured using high-quality plastic. The phone accessories come in various designs, including a red circular “Never Sleep” graphic, the realistic “Dogo” graphic, and the “Stripe” design featuring wings and stripes of bright colour. All three designs also feature the Marcelo Burlon County of Milan logo in contrasting white. Get the Never Sleep, Dogo, and Stripe Marcelo Burlon iPhone X cases for £50 each. Everyone needs a great scarf to keep them warm in the winter, so why not buy the Polo Ralph Lauren logo scarf as a gift for someone special this Christmas? Made in Italy out of 100% premium soft wool, the medium-grey scarf features navy blue trim along the sides as well as the classic Polo horse logo in navy blue. The scarf is perfect for any stylish contemporary man, and can be worn with formal and casual outfits alike. 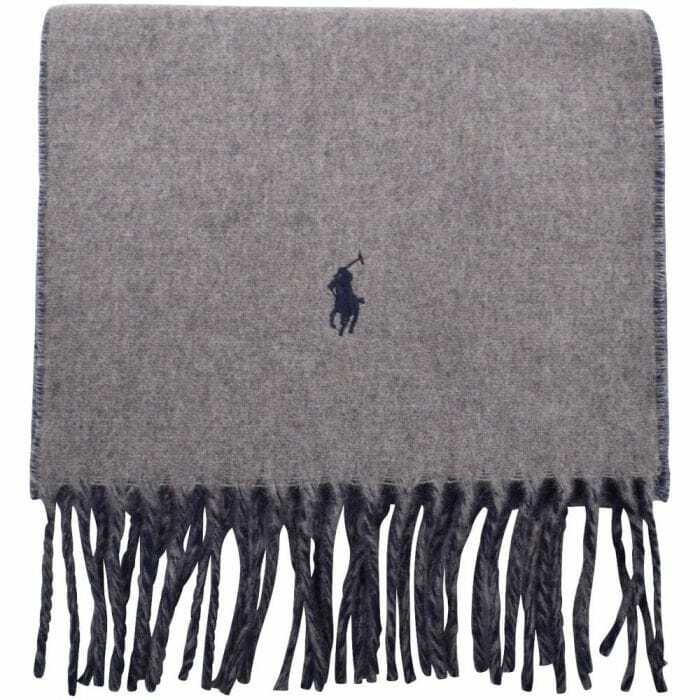 Get the Polo Ralph Lauren grey logo scarf with navy blue trim here for £65. Christmas and jumpers go together like Hugo and Boss. Perfect for the cold months ahead, this bold and classic sweater by Givenchy is crafted with 100% heavy wool. The knitted jumper features a white band with recognisable Givenchy motif across the body and sleeves. The contrast logo allows the jumper to stand out without taking away from its smart appearance. This item is a staple rather than a must-have, and that is why it will make a perfect gift for a man this Christmas. 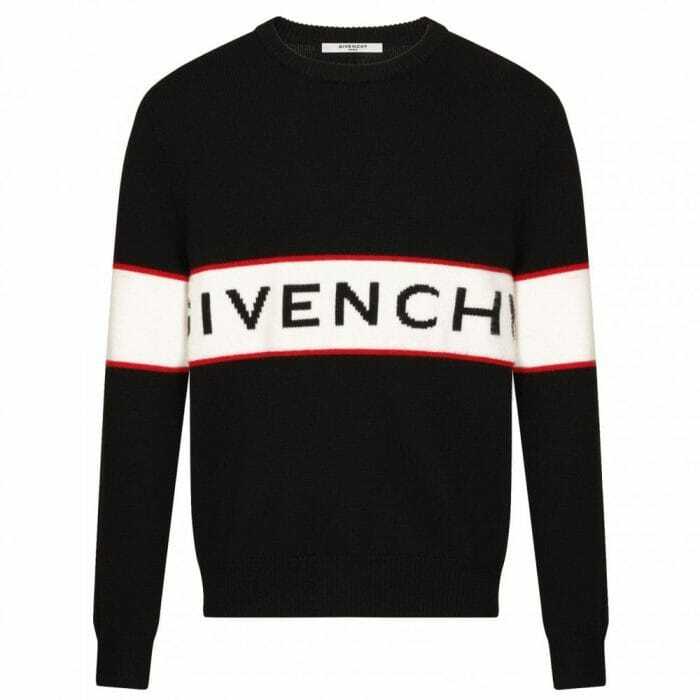 Get your black band heavy-knit Givenchy sweater here for £599. Looking for a Christmas gift for a very special someone? We recommend this unique military-green statement belt from Buscemi. Everything about this belt is noticeable, from its beautiful military green genuine leather strap to the real gold padlock-shaped buckle. 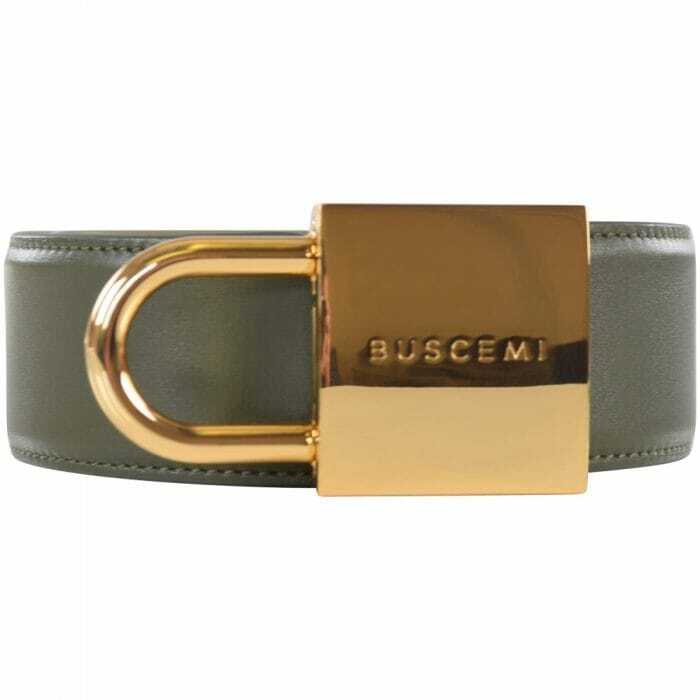 The buckle also features the engraved Buscemi logo. Fashion connoisseurs around the world will instantly recognise the logo of the American luxury brand inspired by nostalgic past experiences juxtaposed with the modern urban landscape. The belt goes perfectly with your favourite pair of designer jeans, and is sure to make its wearer stand out in a crowd. Get the Buscemi Military Green belt here for £420. How often do you carry cash with you? If you’re like most people, the answer is probably between 0% and 10% of the time. In the age of contactless, card holders are becoming increasingly practical, both to replace and supplement wallets. This practical black leather card-holder stands out thanks to a high-contrast pattern of white Kenzo eye logos. It has compartment space for up to five of your most important cards. The cardholder is a great xmas gift for a stylish card-owner who’s not afraid to stand out. Get the black and white Kenzo eye logo cardholder here for £80. If you’re looking for a practical, high-end, and simultaneously playful gift to give someone this Christmas, you can stop looking right now. This Hugo Boss wallet meets all the criteria for a great Christmas gift for a man. It’s practical, with two note compartments and separate slots for eight cards. In true Hugo Boss fashion, the accessory is crafted with high-quality soft grain genuine leather. The wallet is lightweight and sleek, making its contemporary playfulness stand out even more. The outer of the wallet features a large emBOSSed logo written in reverse, while the inside features a small embossed logo. Get the black leather Hugo Boss reverse logo wallet here for £99. Watches are an essential fashion accessory for every man’s wardrobe. This robust, sophisticated Vivienne Westwood watch is a great christmas present for a contemporary man. It is made from ion-plated black stainless steel with elegant gold details. The strap is premium textured brown leather, and features a meticulous embossed design. The watch face features a brown textured dial with three hand movement, as well as a sub-dial chronograph with date function. 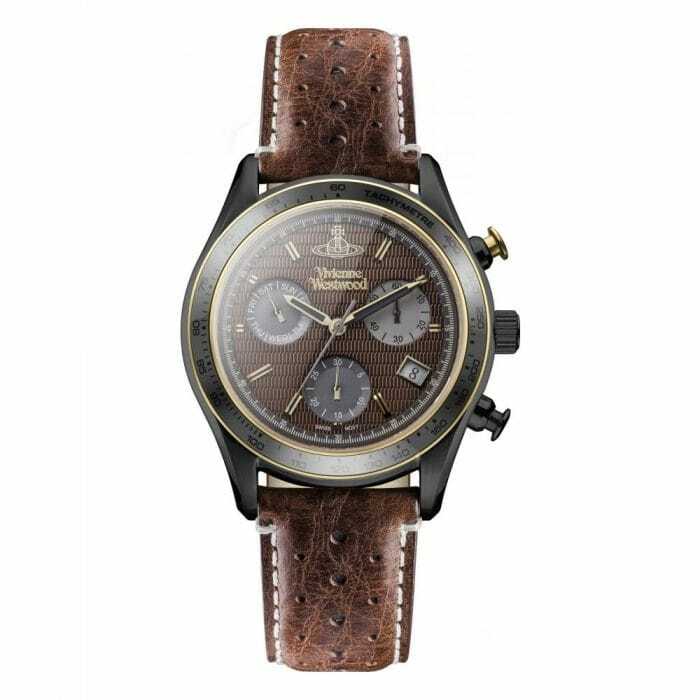 Get the Vivienne Westwood brown Sotheby watch here for £355. We all know someone who is annoyingly good at wearing beanies. The good news is, that makes it really easy to pick out a nice xmas present for them. For example, this grey Polo Ralph Lauren beanie with the brand’s latest signature bear logo embroidered on the front. While the logo is small, it is colourful and stands out in an unpretentious way. This hat from Polo Ralph Lauren’s new AW18 collection is made of a woollen blend, and is sure to keep your head warm and looking cool this winter. Get the grey Polo Ralph Lauren bear logo beanie here for £49. Looking for a Christmas present for someone who loves Givenchy, or practical everyday items turned haute-couture? 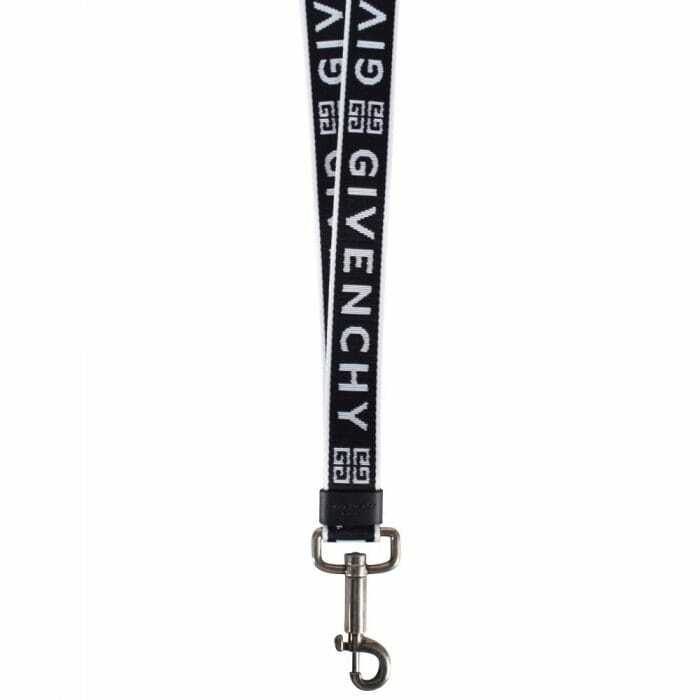 Then this black and white Givenchy logo lanyard is the right gift for you to buy. The high-contrast black and white design catches the eye, while the nylon and polyethylene strap with engraved leather tab speak to the high-quality of the accessory. Get the Givenchy Obsedia lanyard for someone special this Christmas here for £190. During the winter, we spend much more time indoors, and we also make more of an effort to make indoors cosy. Lights, wood burners, and candles are excellent elements of Christmastime indoor cosiness, and that’s why this set of scented candles by APC will make a great gift this winter holiday season. 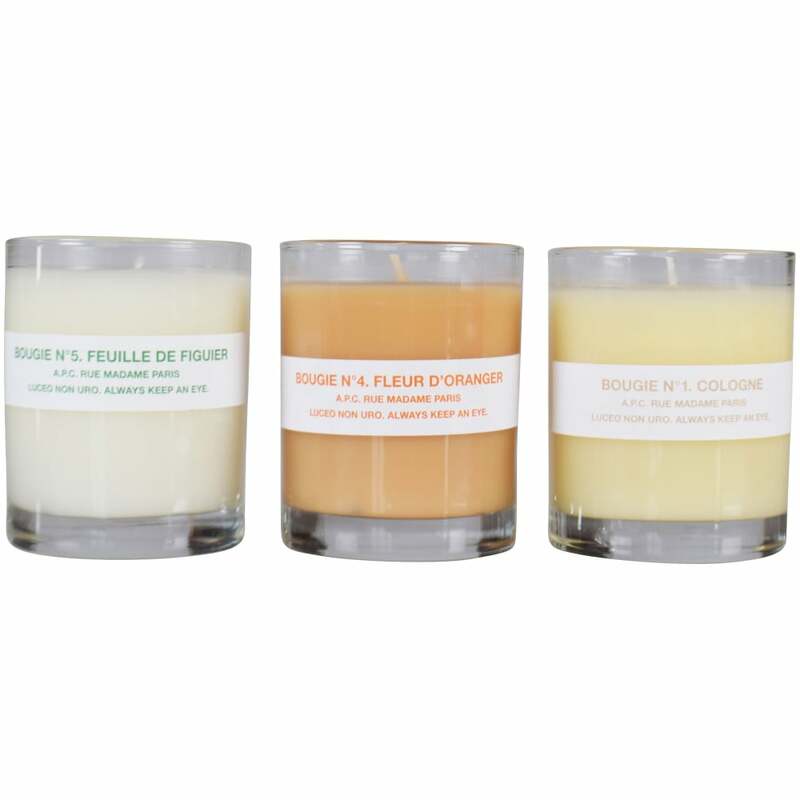 The set is tastefully made in France, and includes Bougie scents No.1, 2, and 4, which are named cologne, orange blossom, and fig leaf, respectively. Each candle comes in a clear glass holder and burns for over 50 hours. The tastefully scented APC candle set makes an excellent xmas gift for the home. Get the APC Trio Scented Candle Gift Set here for £50.